CodeStream Labs is a dev shop based out of San Francisco offering courses in Full Stack Development, iOS, Android, Ruby, and UX Design. Classes are kept small with the purpose of more 1-on-1 training for students. Courses are split into beginner and advanced sections, meeting 3 and 5 days per week respectively. The Advanced Level Course takes each student through the full stack of the aspects of Android application development. Including not only complementary website applications and also sophisticated highly developed code driven applications which will put you at the lead of any team. Additionally, the skills which you will acquire during this course will open doors to be able to easily acquire knowledge and proficiency of any development language. Our Advanced iOS Level Course has been formulated to bypass any barriers in deploying fully scale applications for the iOS operating system. You will learn X-Code advanced usage practices and advanced depths of Objective-C and its vast number of Libraries. These applications will be able to incorporate sophisticated algorithms and you will learn to design, write, and implement these advanced topics into your everyday workflow. At an introductory level you will learn about making application which you will easily be able to deploy interactive applications using action bars to present information for your Web Applications. These simple apps complement any website with ease. Our iOS Introductory Course engages you in learning the basics of Objective-C and an introduction to X-Code where you will be able to get up to speed on how to begin making iOS application for iPhones and iPads as well as Macintosh Desktops. This course is focused mainly on introduction and you will learn to make a simple application which you can deploy across all of the available platforms. An email with these details has been sent to CodeStream Labs. 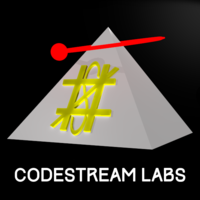 You've already applied to this scholarship with CodeStream Labs.